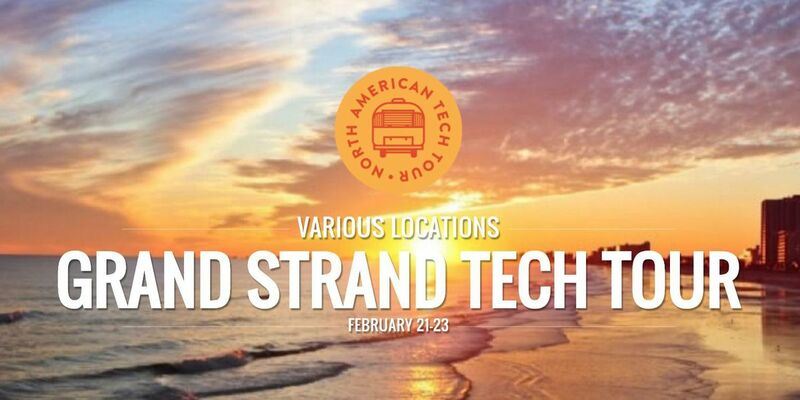 MYRTLE BEACH, SC (WMBF)-The North American Tech Tour will be making a stop in Myrtle Beach. The event will take place Feb 21-23. A kickoff party will be held on Feb 20 at the Wall College of Business from 5:30-9:00 p.m. If you're an investor, community leader, or local entrepreneur you are welcome to attend. Workshops touching on topics like fundraising, angel investing, and the needs of employees will be offered. Each day's events run from 9 a.m. until 6 p.m. All workshops are free to attend, but with the small size of the venues, RSVP's are encouraged. To learn more about the event and to register click here.